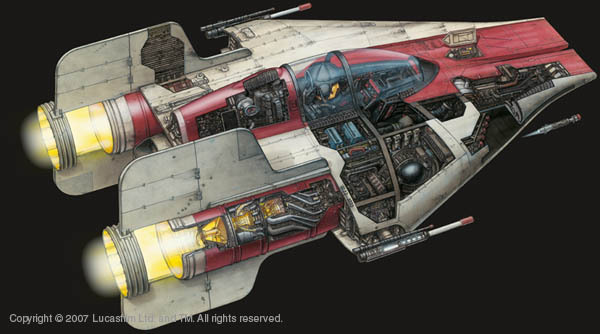 Wave two of X-Wing has recently been released and with it came the model I have anticipated the most: the A-Wing. I reckon the reason I love this ship so much is because of its mystique in Return of the Jedi. Everyone knew what an X-Wing or a Y-Wing looked like. Even the new B-Wing had a great sequence showing its S-Foils moving into locked position. When I found out that the A-Wing was in wave two, I was pretty damn excited. I managed to score one before the first run was sold out. I wish I could have bought a few more, but finances are a bit tight and it took a bit of doing to grab this one. Still, nothing will stop my ambition of getting a whole squadron (five) of these little bastards! Some sloppy painting in spots, but overall an excellent pre-painted model. The A-Wing model itself is pretty damn cool. It's got a lot of detail, and it would a simple task to repaint these in Green Squadron colors, if you are looking for a 'historical' force. I am tempted, but in the end I'll likely leave them as is (Green Leader Crynyd's was in red colors). Compared to the other models its so dinky, but that's to be expected for the A-Wing. The cards are interesting. They include two named pilots, one Green Squadron pilot, and one prototype pilot. The named pilots are Tycho Celchu (Green 3) and Arvel Crynyd (Green Squadron Leader). Tycho is the highest rated pilot in the set at 8, which makes sense as he was an accomplished pilot before the Battle of Endor. 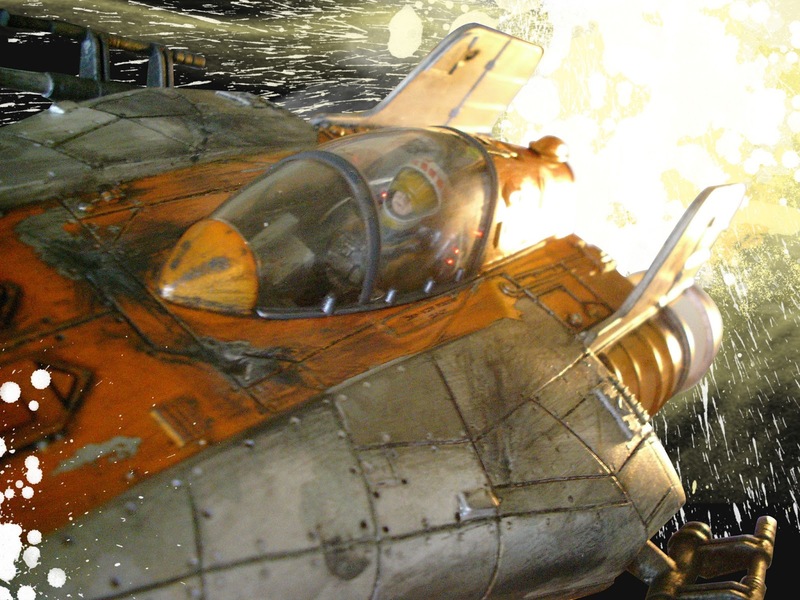 Originally an X-Wing pilot (Rogue 9), Tycho volunteered as an A-Wing pilot went he call went out. Tycho provided top cover for Lando Calrissian (Gold 1) in the final assault on the Death Star. 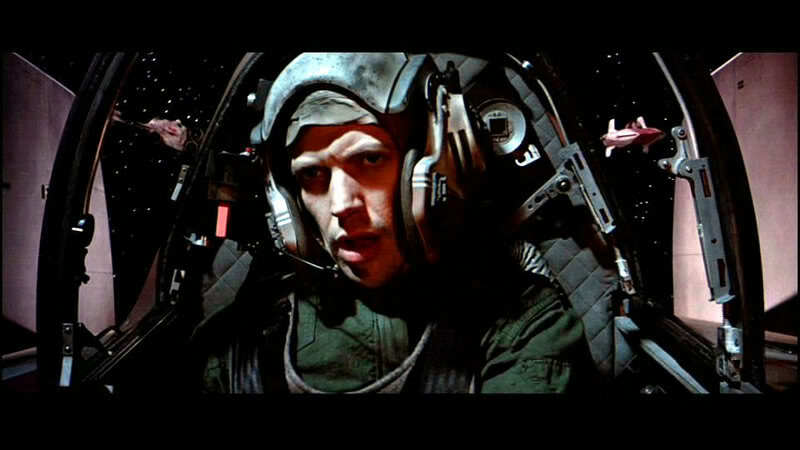 Arvel Crynyd was Green Squadron Leader, but is better known as the guy that flew into the bridge of the Executor. He is a mid-level pilot, strangely, with a rating of 6. The generic Green Squadron Pilot has me a bit confused with its low level Pilot Rating of 3. Green Squadron was not a new squadron, and all of its members were volunteers chosen from the best X-Wing pilots available. I would have expected the Pilot rating to be 4 like Grey and Red Squadron Pilots. The Prototype Pilot has the worst rating in the Rebel fleet at 1. Again, I would have expected slightly better of the pilot. This A-Wing clearly represents the older R-22 'Spearhead' A-Wing model used in the Battle of Yavin. Two of these ships were used on the assault of the Death Star, and like Green Squadron, the pilots were volunteer veteran pilots. I can understand penalizing their rating for having a new starfighter to master, but I wouldn't think that would take a veteran pilot back to square one in terms of being able to function in combat. In terms of the pilots, I was a little disappointed. I want to field the entire Green Squadron, but in terms of skill (which were second only to Rogue/Red Squadron at Endor) Green squadron is bested by every other rebel squadron except for Gold. This is remarkable as Green Squadron was, for all intents and purposes, a spin-off of Rogue/Red Squadron. The A-Wing's stats and abilities are pretty straight forward. 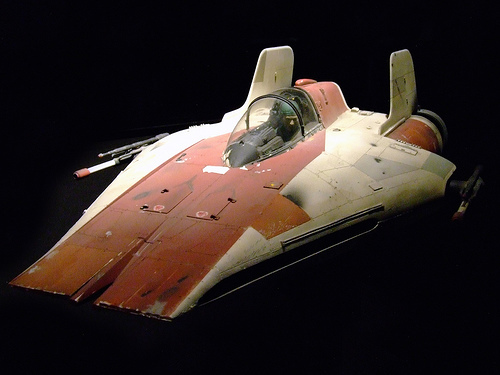 There was no ship at Endor faster than an A-Wing, and the only fighter more agile was the TIE Interceptor. This is preserved in the game with the A-Wing's Boost Action. This gives A-Wings the ability to move a free 1-maneuver for free. That is a great ability for damned sure! The A-Wing can also Focus, Target Lock, and most importantly Evade. The raw stats on the ship make some sense, attack is 2 owing to the light weapon load-out the ship had to keep its speed and maneuvering up. The ship's Agility is 3, matching a TIE/LN. This makes sense as the ship was designed to match the maneuverable TIE. An A-Wing's hull is 2, which reflects the compact design of the ship. 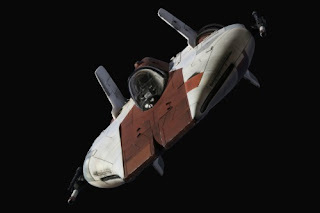 When it was designed, the ship had a lot of things packed into its hull, from sensor jamming tech, to a shield generator, a cockpit, and weapons. Other than that rest of the ship was all engine. 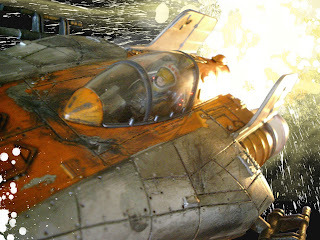 The biggest complaint was that if the A-wing took a hit that didn't kill it outright, it would certainly loose one of its systems, even with the shields at full power. 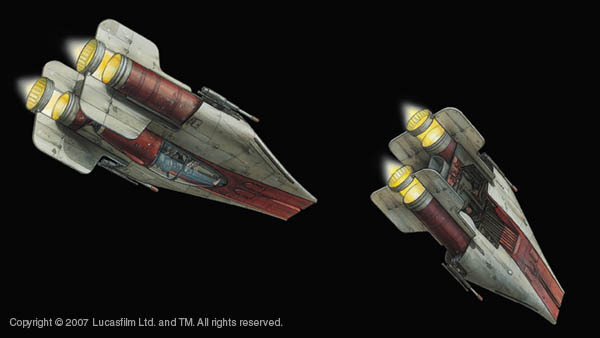 The A-Wing has shields too, which I am a little skeptical of its rating of 2 for the reason stated above. I think 2 is a bit generous and should probably be only 1. Upgrades available are pretty slim, once again making perfect sense given the A-Wing's tiny frame. Somehow the designers managed to squeeze in a concussion missile launcher system into the A-Wing, giving them the option to take missiles aboard (missiles being something unique to Rebel ships). Green Squadron Pilots also have ability upgrades available, which goes some way toward fixing my angst over how this squadron has been roughly handled. Conspicuously missing compared to all other current Rebel ships is an astromech upgrade option. Simply put, the A-wing had no room for an astromech, so it didn't have one. So, no spamming with R2 here! A-Wings are perhaps a bit expensive. The prototype is available at 17 points, only the TIE Advanced models and one named TIE/ln are more expensive. I'm not sure if you get the same sort of value from A-Wings as you would other ships, but I'll need to sink my teeth into the ship a bit more before I can really confirm or deny that claim. Sounds like I've got some games to play! Finally, the new upgrade cards include Deadeye which allows you to spend Focus in place of a Target Lock. I can see this being used on Y-Wings a lot. Push The Limit allows you to perform a bonus action (think Vader's ability on any ship). The down side is that you get a stress token. I think this will be seen on TIEs and A-Wings to get that last boost or barrel roll maneuver to get into a favorable shooting position. The last upgrade card is Homing Missiles. These are pretty straight forward, but the target cannot use Evade tokens in the attack, which would be handy for killing those dodgy X-Wing and TIE named pilots. So, my overall impression for the A-Wing is a tempered 8/10 destroyed Executor bridges. I think Green Squadron's poor showing and the generous shields shave a few points off in this man's opinion. That said, I'm extremely excited about this release and will still be going to complete my squadron with another four models. Then it's on to Interceptors and 181 Squadron!